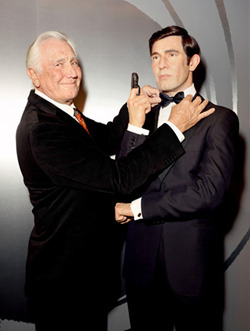 George Lazenby who portrayed the iconic character 007 in On Her Majesty's Secret Service is making a real splash in tinseltown. Not only is he is a part of the Madame Tussaud's Hollywood exhibition of all the stars who portrayed the iconic role, but he is also starring in the much buzzed about indie flick Hunter: Future Cop. 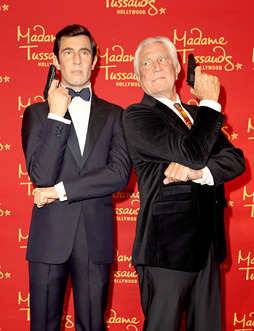 Hollywood, CA , December 16, 2015	(Newswire.com) - George Lazenby who portrayed the iconic character 007 in On Her Majesty’s Secret Service is making a real splash in Tinsel town. Not only is he is a part of Madame Tussaud’s Hollywood exhibition of all the stars who portrayed the iconic role, but he is also starring in the much buzzed about indie flick Hunter: Future Cop. Hunter, the urban action thriller directed and produced by award-winning filmmaker Gregory Hatanaka was recently released at Walmart stores nationally and it is also available on demand at Amazon, Google, iTunes and Cable. 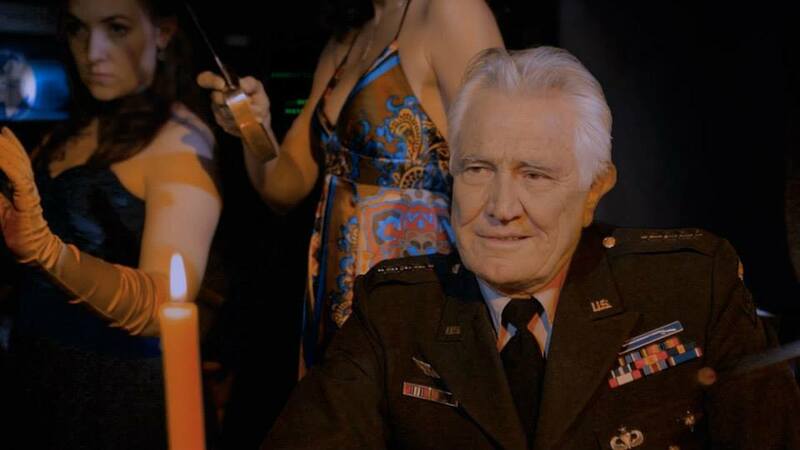 Noted actor Ron Becks is the writer-producer and star of Hunter where he plays the title role of Lt. Ramsey Hunter. Lazenby portrays the corrupt general who also in classic Bond style is a ladies man and has a harem of beautiful women at his beck and call. Hunter: Future Cop also stars budding executive producer and co-star Salih Mayi, Laurene Landon (Samurai Cop 2: Deadly Vengeance), Kristine DeBell (The Big Brawl), Magda Marcella (Blue Dream), and Nicole D’Angelo (Darling Nikki). This has been quite a time for Bond fans as the exhibit was on the eve of the 46th anniversary of Lazenby's film release, which was December 18, 1969. Lazenby was joined at this historic event by Bond Girl, Gloria Hendry, who played Rosie in film Live and Let Die. His suit tailor was Andrew Major at D Major Bespoke Tailors.